Train the professionals in EBUS, a technic that is being developed in Centroamerica. In spite of the challenges in having only one EBUS in Panama, and one in to El Salvador. Additionally, there have only been less than ten explorations in each country. Update the pleural technics and bronchoscopies, collaborate with the patients assistance and manage the materials that were donated to Honduras from the last year. Finally, the last objective was to stimulate the cooperation between nurses and doctors and enforce their identity. Even with a busy schedule full of institutional and informal meetings, visits to different hospitals, formative courses and clinic assistance, the goals were accomplished and the there was full participation in all the activities. 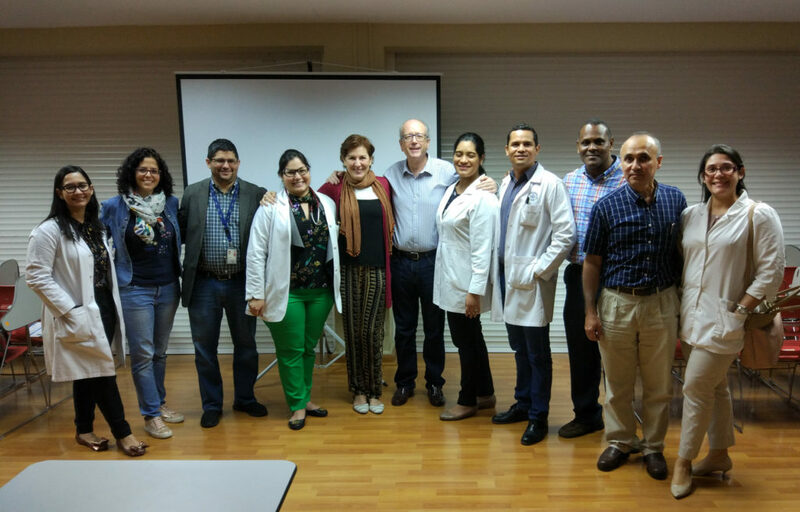 Furthermore, we are proud to have Panamá and El Salvador participants be fully engaged in the theoretical and practical course of Interventionist Pulmonology. 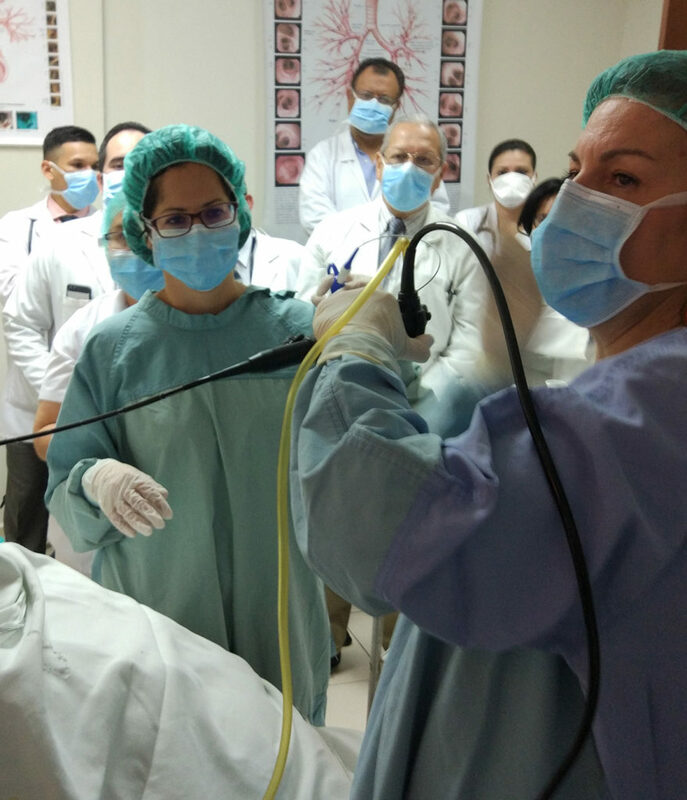 Meanwhile, nurse Liliana Llanos brought together the nursing personnel to assess issues like endoscopy techniques in pulmonology and preparation and sedation of the patients. 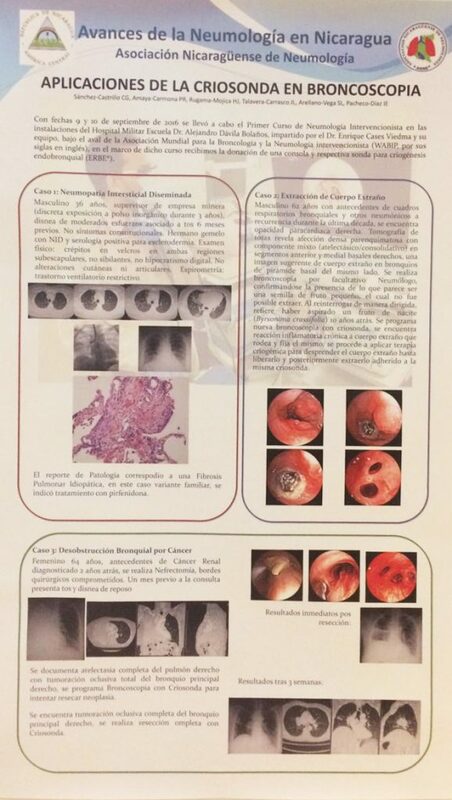 The development of this projected rested on the successful collaboration of Dr. Victor Coto, responsible for the Respiratory Endoscopy Unit from the Hospital Nacional, Dr. José Antonio Saldaña and Dr. Luis González, Head of the Pulmonology Department Hospital Salvadoreño del Seguro Social where we could do the EBUS practice. 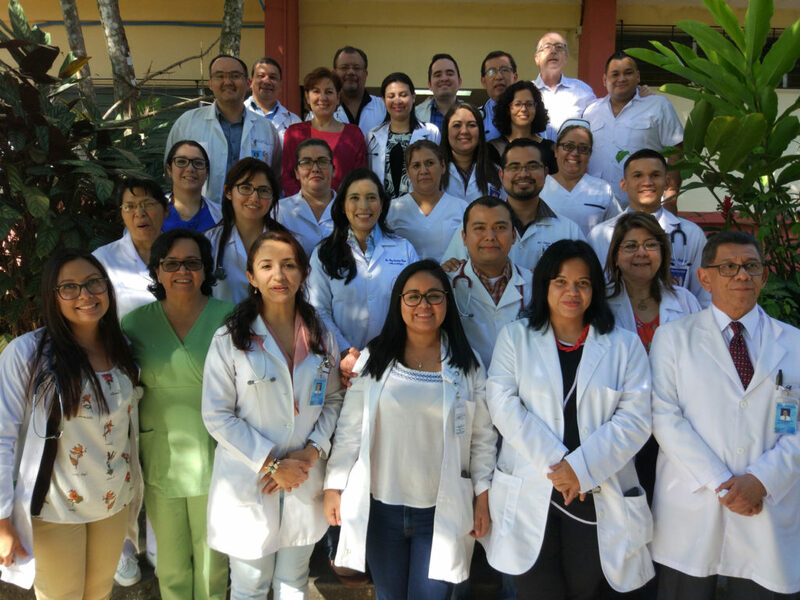 In Honduras, our goal was to review the materials donated as a result of the previous year’s Proyecto Horizonte, continuing the formation of the professionals and maintain the support in the creation of an specialize training in Pulmonology. The “Proyecto Horizonte” is an initiative between the World Bronchology Foundation and SEPAR Solidaria, born in 2015. Between the 12th and 26th of November, the “Proyecto Horizonte Honduras 2017” resumed its activity. 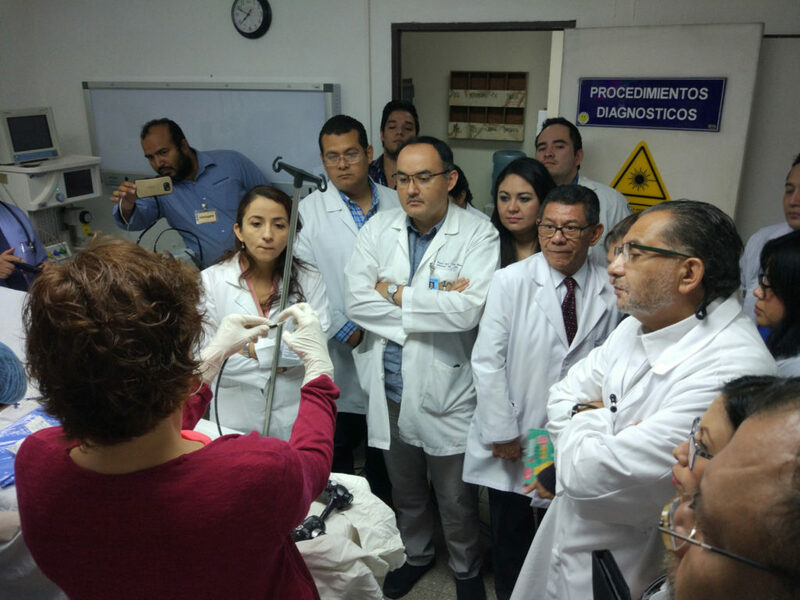 Dr. Manuel Núñez, Dr. Enrique Cases, and nurse Merce Cuña, travelled to Tegucigalpa (Honduras) to accomplish 5 objective, which were 1) to support the appreniticeship of future pulmonologists in Honduras, 2) to make a Second Theoretical and Practical Centroamerican Course with the engagement of pulmonologist from countries near Honduras, with the aim of updating the pleural and bronchonscopic techniques, 3) to attend to patients, 4) to donate an an ultrasound machine to the “Instituto Nacional CardioPulmonar”, and 5) to control the donated material in Nicaragua one year ago. 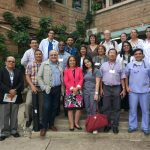 Specialists from Honduras, Guatemala, San Salvador and Panamá took part in the Second Theoretical and Practical Course of Interventionist Pulmonology. The experience was rewarding and the level of the course, with the involvement of specialist from Honduras, was very high. The practical part helped for the apprenticeship of the assistants and was highly valued. It is important to highlight the high level of participation in the nursing sessions -a constant in this Centroamerican Course-, which shows that nursing raises concerns and affirms the necessity of training and stimulating it. The work and efforts of Merce Cuña during the course and in the Instituto asistencial was very outstanding and appreciated. 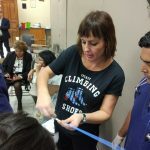 During our stay in the Instituto, we actively participate in the different assistance activities, complex procedures and formatives and clinic sessions that were organized. The contributions made were highly valuated. 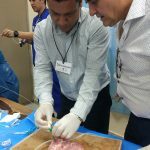 We have to highlight again the activity developed by Merce Cuña, above all in encouraging the nursery, and the work of Manuel Cuña in forming future pulmonologist in Honduras, as well. At the same time, it is important to appreciate the facilities that Dra Suyapa Sosa gave to us, not only by letting us develop our activity, but also by bringing us the opportunity of constantly being with pulmonology’s residents. In the first visit to Honduras, because of the high quantity and complexity of pleural pathology in the medical centre, it was consider that there was a priority need of an ultrasound machine for studying the pleural pathology. Because of this, SIMMEDICA donated an echograph with a high-resolution linear and mini-convex transductcers. We would like to thank the complete willingness of SIMMEDICA to donate material for the Proyectos Horizonte, it has become a key contributor in these projects. Controlling the donated material its fundamental, not only to know that it remains in good conditions and that is being correctly used, but also to let the responsible people of these material feel that World Bronchology Foundatios and Separ Solidaria the continues supporting them. 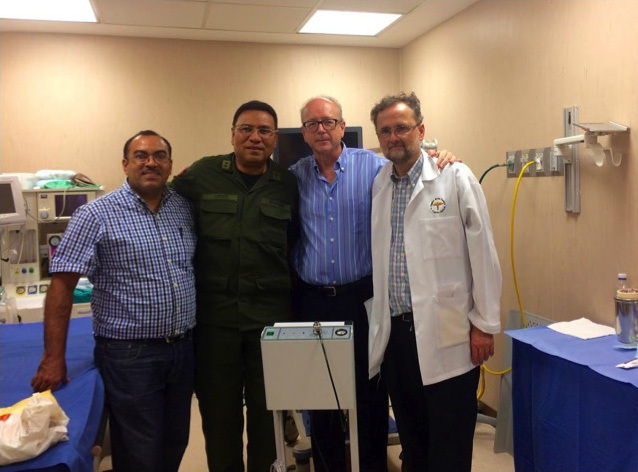 Because of that, a visit to Chinandega (Nicaragua) was made, and it was checked that the donated bronchoscope in September 2016 was being used correctly and that remained in good conditions. 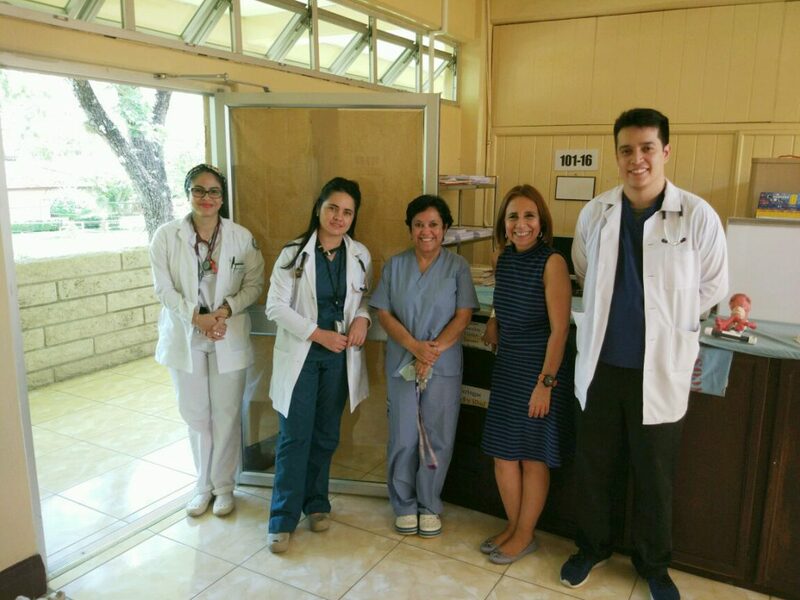 It is important that the interns of SEPAR Solidaria in Nicaragua resort to this hospital, where Dr. Amaya, who is the head of the pulmonology department in the hospital, will receive them cordially. The use of the allowed material in the Hospital Militar de Managua it is being very useful for the patients. The first results of the transbronchial lung cryobiopsies and central airway obstruction recanalization, have been submitted. 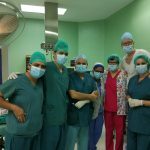 Moreover, the pulmonologist in charge of the department, Dr. Christian Sánchez, stayed for three weeks in Spain –Fundación Jimenez Díaz and Hospital Universitario y Politécnico La Fe- with a grant from the WBF and Asociación Española de Endoscopia Respiratoria (AEER), in order to improve its knowledge in interventionist pulmonology procedures. Dr. Christian feels highly inspired, and is conscious that the development of the interventionist pulmonology depends to a large extent on him. Proyecto Horizonte is possible thanks to many people including Dr. Julio Ancochea, who is committed to this project from 2015. Thanks to him, SEPAR Solidaria has facilitated the necessary framework to make the Proyecto Horizonte known in all Centre America. Javier, Luisa, Harold and Gerardo, who are the future pulmonology residents in the Instituto Nacional CardioPulmonar, who are enthusiastic for learning, and who are always sensitive and warm with us. Dra. Suyapa Sosa, who is the core of this group. Without her, the Project would have been impossible and pointless. Drs. Judy Enamorado, Carlos Alvarado, José Castro, Leslie Padilla, Elías and the nurse Walleska and other persons who have help and encourage us. To all of them, thank you very much, we always bring back home more things than what we leave there. Finally, recognizing the generosity, kindness and willingness of SIMMEDICA, without them it would be really difficult to donate material of good quality, with such an efficient cost. Since establishing the new WBF board in 2014 (read more about the WBF here), our foundation has carried out, in collaboration with the Spanish Society of Pulmonology and Thoracic Surgery (SEPAR) and the Spanish Association of Respiratory Endoscopy and Interventional Neumology (AEER), two inspection visits in Nicaragua and Honduras, and a stay with a Course-Training workshop in Managua. This Course-Workshop was made in September 2016 with the help of three SEPAR grants. These grants were used to organize the Course-Workshop and to make stays in different hospitals in the cities of Masaya, León and Chinandega. 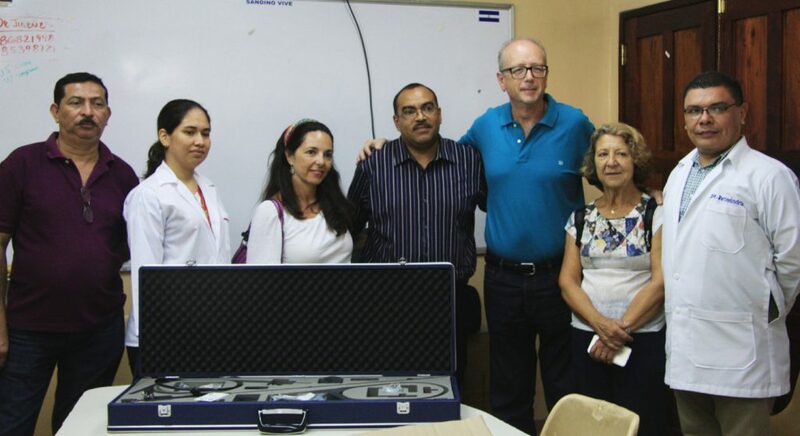 The AEER has donated money for purchasing a bronchoscope for the Chianandega Public Hospital and training material. 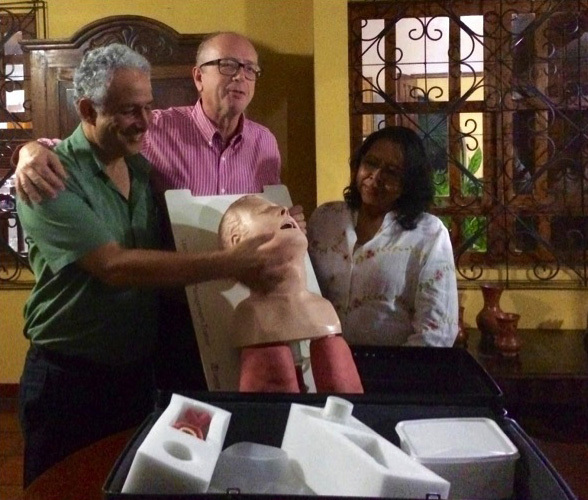 Moreover, SIMMEDICA-Spain has donated an ERBO-Kryo with cryosonde to a hospital in Managua. We are currently planning a stay of two weeks in November 2017 in Tegucigalpa (Honduras). In this time, the second International Workshop of Respiratory Endoscopy will be made, some materials for the National Pulmonary Cardio Institute will be donated, and also, a collaboration stay will be done, apart from other activities with the Honduras’ universities.